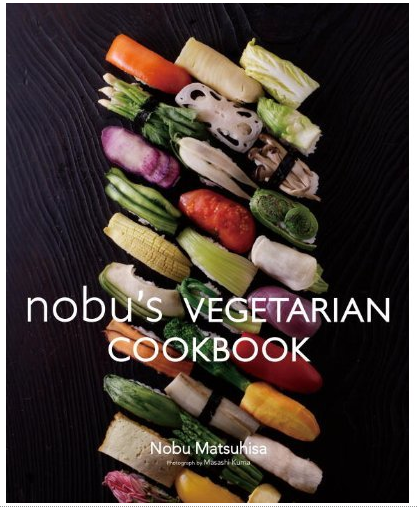 Acclaimed chef and restauranteur, Nobu Matsuhisa’s latest cookbook is strictly vegetarian and brings the word elegance to vegetarian cooking. Filled with stunning photos, his cookbook is full of innovative Japanese recipes for fresh salads,vegetables, mushrooms, tofu, yuba (soybean product), noodles, desserts and beverages. A master in combining unseeming ingredients, try one of his unusual recipes such as the Napa Cabbage Sorbet and the Tomato Compote Coated with Chocolate. His sake beverages are equally as impressive and my favourites are the Cucumber Sake Mojito and the Bitter Squash Screwdriver. I wanted to try a recipe and since I love mushrooms, I decided to make Nobu’s Spicy Mushroom Soup. The ingredients are easy to find and are available at ethnic and health food stores. If you are looking for an adventure, go to the Japanese grocery store Fujiya to pick up your ingredients. 1. To make the Kombu Dashi stock, combine the kombu kelp and water in a pot and heat until the water temperature reaches 140F (60 C). Cook for about 50 minutes and strain the kelp. 2. Cut the hard parts off the bottom of the mushrooms, and cut or tear into bite-size pieces. For the truffle, chop into small pieces. 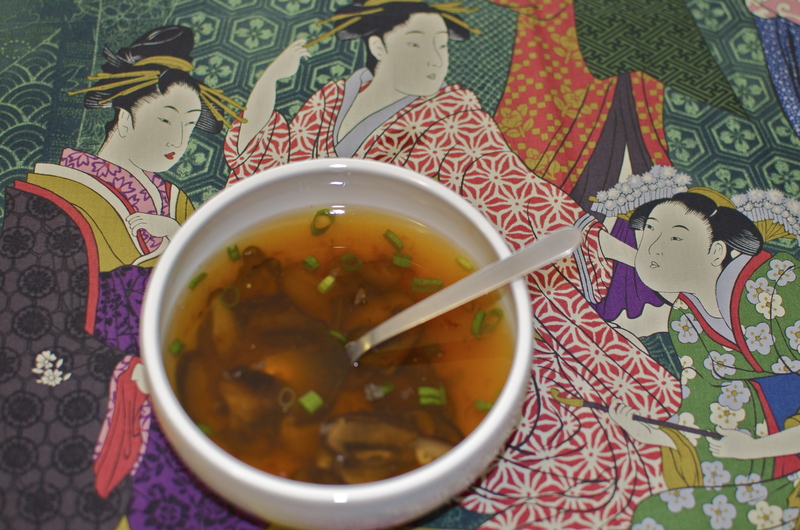 3.Place the Kombu Dashi and all the mushrooms in a pot and bring to a simmer. Contine to simmer until the mushrooms are cooked. 4. Season with soy sauce, mirin and salt. 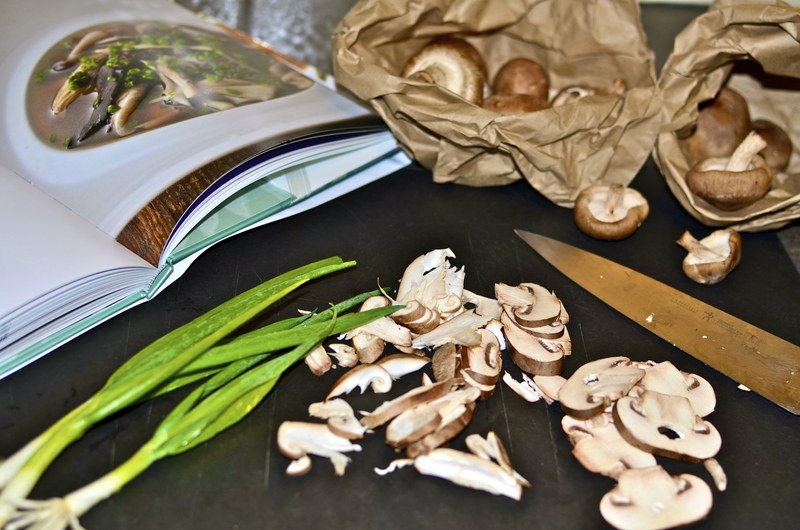 Arrange the mushrooms and soup in serving bowls, top with the chopped scallion, and drizzle with the chill garlic sauce. You are currently reading Nobu’s Vegetarian Cookbook at Coriander Kitchen.